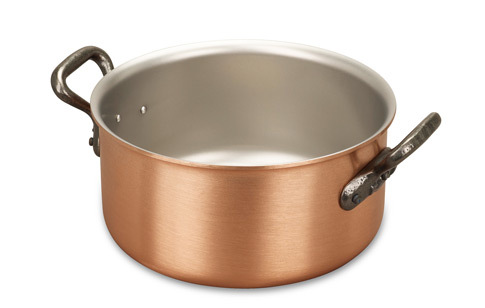 We know you'll love this	18cm copper casserole	as much as we do. Pretty pot I chose this size because I already had the 18cm copper lid which fits on top. It is just the right size for making 2-4 portions of stew or curry in. Food never burns on the bottom and it is very well made. Great pan A lovely pan. The copper and stainless-steel combination is a joy to use, as always, and I find this a very useful size - not too large, not too small.